Winners will be announced June 11. Syracuse University’s S.I. 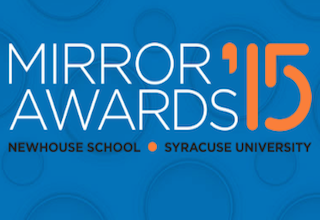 Newhouse School of Public Communications has unveiled the finalists for the 2015 Mirror Awards, which honor the best media reporting. The winners will be announced at a ceremony on June 11. Details for the event can be found here.